Aftermarket snowmobile cans have become quite the controversy lately with many reported tickets issued in 2019. Do they hold a place in the future of trail riding? Do you hold a place in the future of trail riding? It’s simple, the MTO law states that: 18 (1) No person shall drive a motorized snow vehicle unless it is equipped with a muffler in good working order and in constant operation and no person shall drive a motorized snow vehicle which has a muffler cut-out, straight exhaust, gutted muffler, hollywood muffler, by-pass or similar device upon the motorized snow vehicle. R.S.O. 1990, c. M.44, s. 18 (1). The only exception is Racing: (3) Subsections (1) and (2) do not apply to a motorized snow vehicle while it is driven in a racing area sanctioned as such by the council of the municipality within which the racing area is located. R.S.O. 1990, c. M.44, s. 18 (3); 2002, c. 17, Sched. F, Table. “Loud pipes save lives” is a saying that came from the motorcycle industry, insinuating that cars could hear motorcycles and reduce accidents. Maybe that’s true at normal speeds, but when a motorcycle passes at a high rate of speed it often scares drivers. Being that exhausts are pointed rearward I don’t know how many loud pipes have actually saved lives. Yes, many cars, bikes, and trucks pass by our residential houses at all hours with loud exhausts. Should we complain? But this argument is very different because those road going vehicles are on public land, not privately-owned land. Snowmobile clubs and governing bodies have land use agreements so that we all have access to endless trail systems. Not every land owner is even a user of the trail systems, but they have agreed to let us enjoy our favorite pastime on their land. If only one landowner doesn’t want to hear noisy snowmobiles passing their house/farm, they can simply deny the club access to their land. 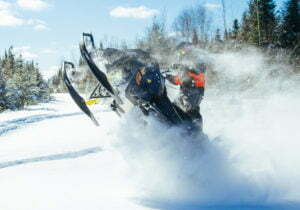 Would you rather have a stock/quiet snowmobile and trails to ride, or a loud sled and nowhere to ride? The reality is that “cans” really work well for quick acceleration from stop or slow speed, until 60/70 mph. Having ridden private backcountry and mountains with a can I can say that top end performance is hindered and quite possibly could damage motors. Hence why they work so well on a Snocross track. That “sweet spot” while holding one cruising speed is when snowmobile motors tend to seize from detonation, even with fuel injected sleds. I’ve personally noticed fuel injected motors seemingly dropping a cylinder at higher speeds. For me the durability question is not worth the low-end sound and acceleration. More than ever respect and acceptance of others and social responsibility are dying and taking over is the “Me” attitude. What happened to respect and acceptance of others? Why would you want to upset others (especially people who are accepting that we want/need to cross their privately-owned property) because you simply want a noisy sled? 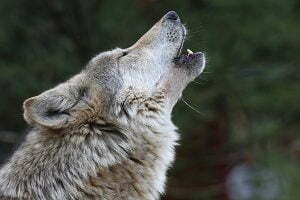 It has been said the noise in the distance even causes Malamutes to start howling (just ask Mike at Horwood Lake Lodge) as he believes the noise very much sounds like a moose calling out to its mate. Should the Law be Changed or Updated? Motocross racers have long been regulated to a certain decibel level at a certain RPM with their exhaust systems. Different marine authorities have also taken this approach. This approach adds extra cost to authorities and I would suggest that would be reflected back to riders and we would see increased cost or registration. Should the law be updated? Would you accept an increased cost of registration to have the law changed to a decibel level? Snowmobiling has at times been viewed a “dangerous” sport. Conditions, weather, equipment failures, drinking and riding, etc., have all played a part in painting a picture of wild hooligans out all night, drinking and speeding. But we’ve come so far since those days and I thought in the 2000’s we were finally making some progress of changing that public perception. Our future needs to be one responsibility, respect, and a positive perception. Should stock exhausts be a part of that future? This entry was posted in Snowmobiling, Uncategorized.